The Filipino Portrait Artists’ Guild, Inc. (FPAGI), agroup of portrait artists based in Manila, will be opening their first group show on Aug. 25, Thursday, 5 pm at Gateway Gallery. 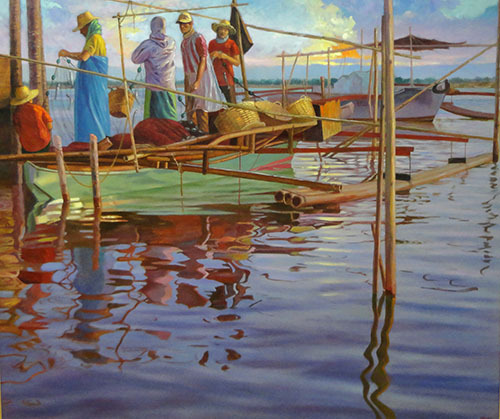 The 21 artist-members have lined up various figurative paintings that depict the Filipino at work,during leisure, in motion and at rest. The works are indicative of the artists’ level of understanding of the human figure in relation to his or her environment, showing variety of styles, composition and influence. 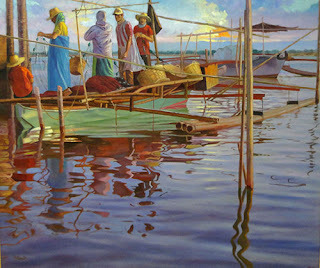 The Filipino Portrait Artist’s Guild, Inc. is a professional non-profit organization formed in April 2010 to promote the art of portraiture and figurative works. The members are of various ages and come mostly from the esteemed UP College of Fine Arts. Its members are the resident artists of Gateway Gallery where they hold regular portrait sketching every Thursday. The artists participating in the exhibit are Donat Alvarez, Mardy Aguilar, AdiBaen, Grandier Bella, Cee Cadid, Carlos Castro, Romy Carlos, Rick De Villa, Norman Dreo, Tess Duldulao, Esther Garcia, Horacio Gillego, Sen Lacson, Lea Lim, Nemi Miranda, Lupicinio Ng, Alvin Montano, Noel Pocot, Menchu Sarmiento, Bing Siochi and Myke Velasco. The opening on Aug. 25 will have Dr. Raul Sunico as the guest of honor. Dr. Sunico is the President of the Cultural Center of the Philippines and the Dean of the UST Conservatory of Music. The exhibit will run until September 8, 2016. TLC and SWV Live in Manila!